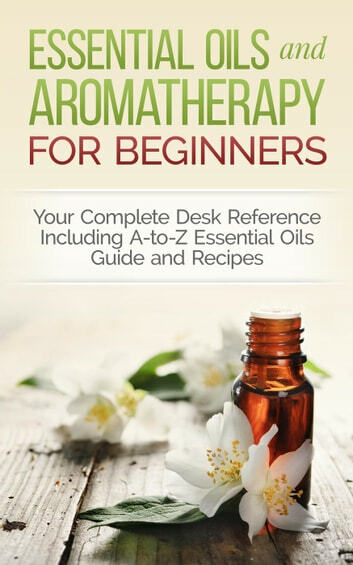 Essential Oils and Aromatherapy for Beginners: Your Complete Desk Reference Including A-to-Z Guide and Recipes is a comprehensive guide to understanding and using essential oils. Essential oils have been used for thousands of years and have been shown to be beneficial for a variety of purposes. These all-natural oils are an excellent alternative and complementary approach to improving health, and when used properly, have very few side effects. As people rediscover the many benefits that can be obtained from using essential oils, they will continue to increase in use and popularity. Get your copy of Essential Oils and Aromatherapy for Beginners and discover the many benefits that aromatherapy and essential oils have in store for you and your family.